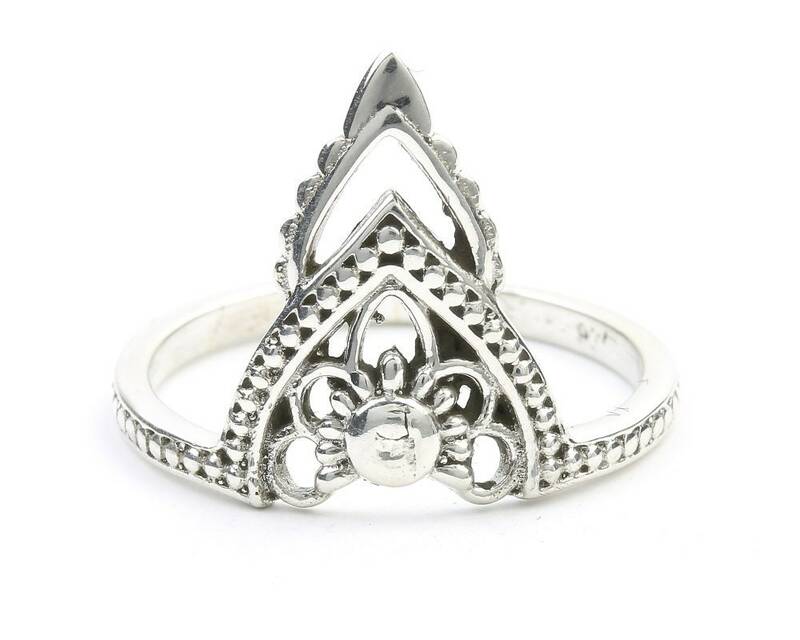 Sterling silver ring with lovely mendi like design. 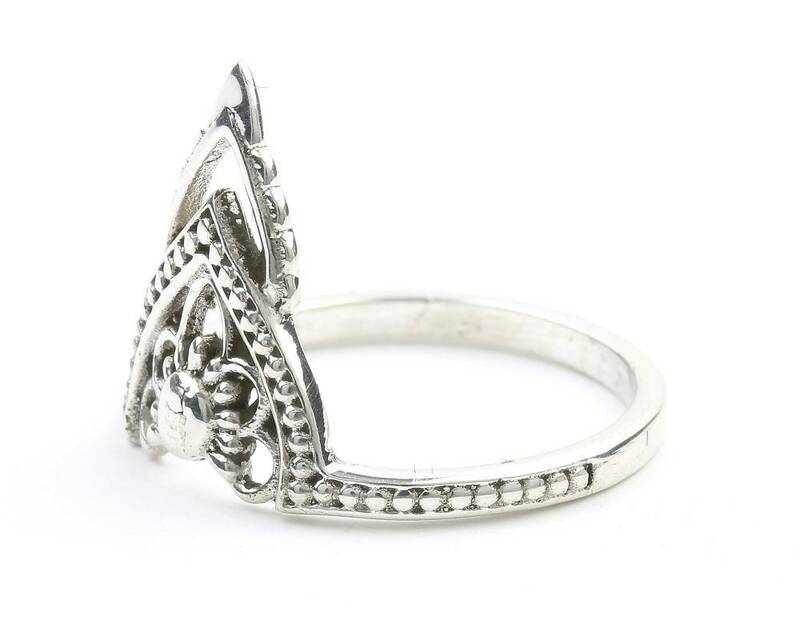 Gorgeous shape wit simple ethnic detail. Beautiful. Didn’t expect it to be so dainty. But I love it! Super quick shipping, item just as pictured. Highly recommend this seller!